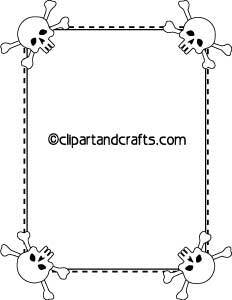 Skulls printable paper border or frame border clip art set. 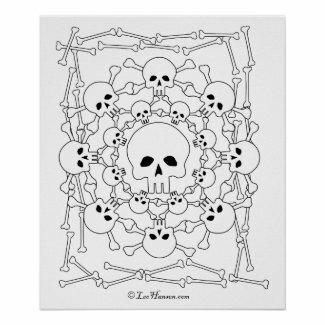 Print this page and cut out around the outside of the skull border frame to use in cut and paste crafts or traditional scrapbooking. 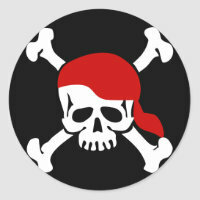 Save the border graphics to design your own pirate crafts or Halloween flyers. Print the 8.5" x 11" border sheet (PDF file) to create a letter size stationery sheet you can write on, print on with your printer, or use for paper crafts and scrapbook layouts. 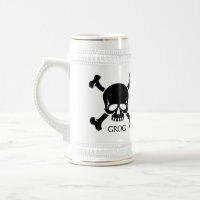 Printable letter size skulls border page in PDF format. After printing, your border paper can be used just like ordinary paper. Load the printed border sheet into your printer and adjust your document margins to print inside the borders. If you have advanced skills you can experiment with using the border paper PDF file as a background image for your designs. 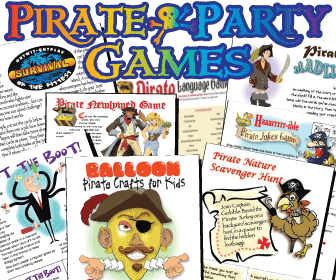 Printable Pirate Party Pack - click to shop Print Games Now- affordable print on demand pirate games for kids and adults, by Python.